A spring tree planting campaign is going on in Pyongyang, the capital city of the Democratic People’s Republic of Korea. According to data available, working citizens and school children in the city planted tens of thousands of trees and flowering plants of 30-odd species, including thousands of pine trees, in streets, villages and important places only in a little more than ten days after the start of the campaign. 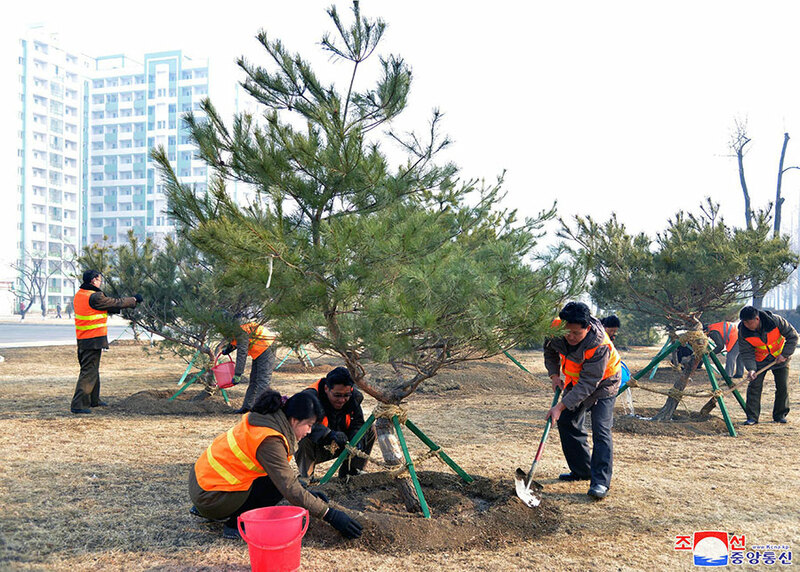 Central, Mangyongdae and other districts have planted thousands of pine trees in various places of the city including the surroundings of the Chollima Statue and the Pyongyang Circus Theatre. And many trees and flowering plants of good species including lilac, zelkova and redbud were planted in greenbelt of Sosong District and along the Taedong River.